Honey, I’m not home! 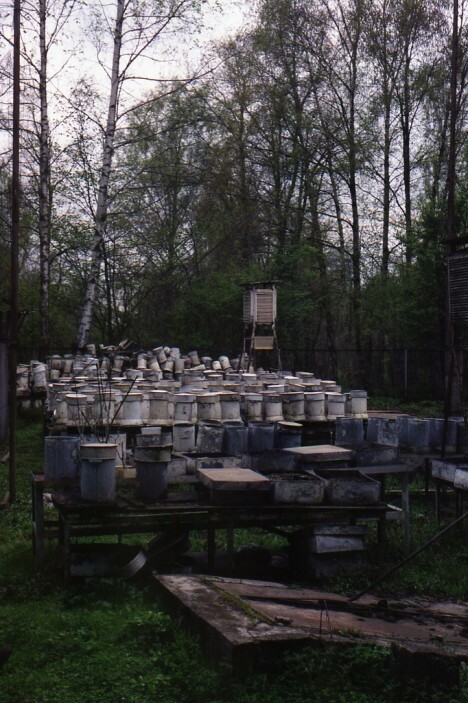 These abandoned apiaries and busted beehives once dispensed sweet liquid gold but now lie deserted, de-pollenated and depopulated. Fancy some honey? 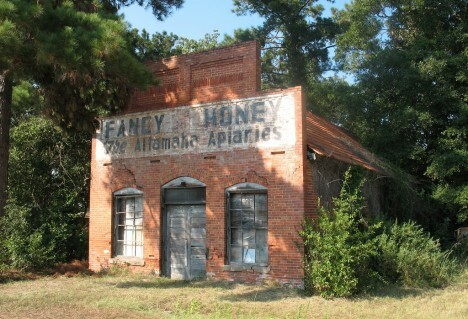 The charming red brick building housing The Altamaha Apiaries in Gardi, Georgia dates from 1900 and originally served as a post office / general store. 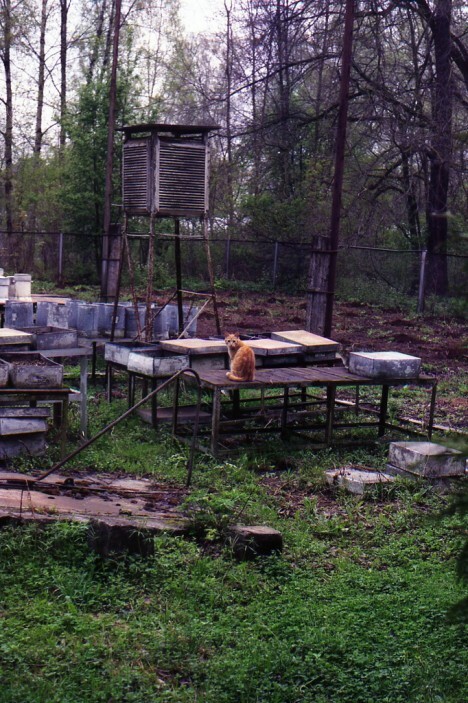 At some point a local family took over the property and set up an apiary. 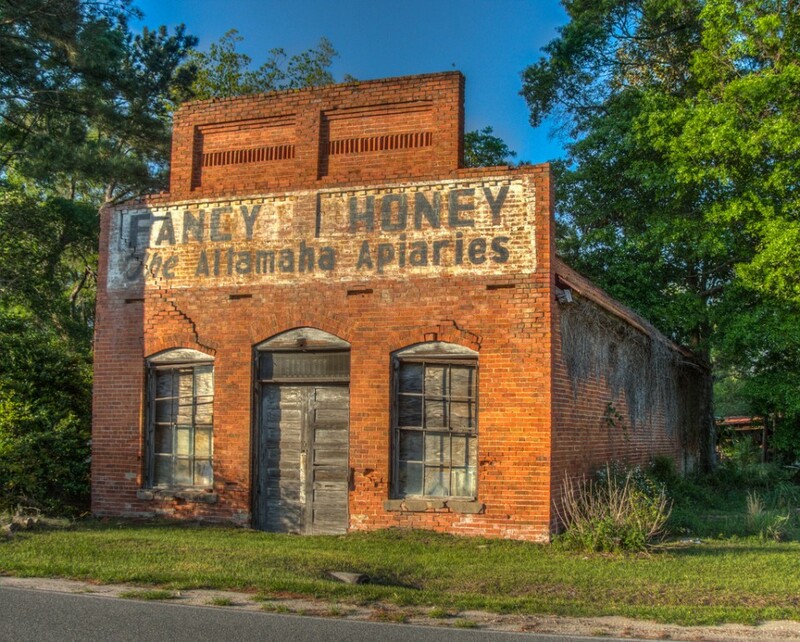 Now gently deteriorating and festooned with flowering vines – descendants of those that once provided fancy pollen, perhaps – The Altamaha Apiaries no longer offers honey but serves instead as a favorite photographic subject for abandonment addicts. Abandon a commercial beehive box for 8 days and you might not notice much difference. 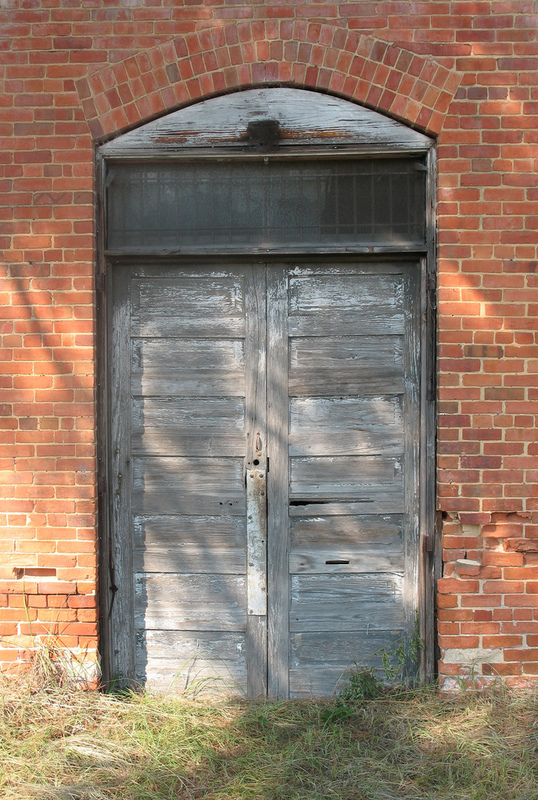 Abandoning a hive for 8 years is another story, however, and since every picture tells a story (thanks, Rod Stewart), kindly shift your gaze to the vine-encrusted hive above. 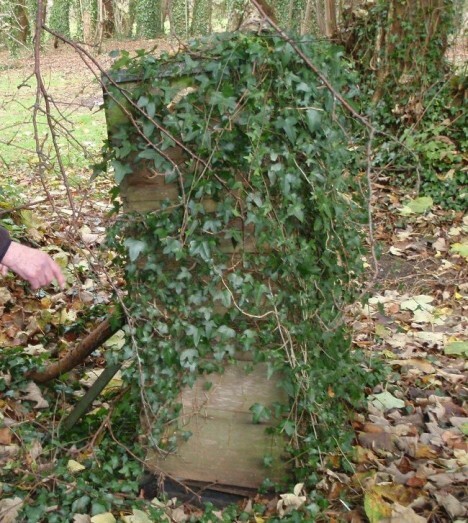 According to The BeeHolder, this British bee box “had been neglected due to the beekeeper being hospitalised 8 years ago.” Hopefully the cause wasn’t being stung multiple times by his honey-making servants. Better not bug this cat, it might start shooting bees out of its mouth. That would presume the ginger feline had been eating bees, mind you, and considering it’s resting in the midst of an abandoned apiary you’re free to draw your own conclusions. Kudos to Flickr user brainfeet, who captured this slightly surreal scene on May 17th of 2010.